While Walker’s crew ties up a loose end, Boyd’s plan gathers pace. I was expecting the board to be cleared at some stage to set up “Raylan vs. Boyd,” but I didn’t expect things to start so soon. Walker and his crew looked like they’d be sticking around for most of the season, but now it seems that they might not make it much further than the halfway point. Choo-Choo bit the dust along with two of Walker’s goons, and Walker himself is now the target of a massive manhunt in Harlan. I’m hopeful that he’ll play a more important role in the rest of the season, but he may not last very long with Raylan on his trail. I compared Choo-Choo to Coover Bennett a few weeks ago, but he actually turned out to be a bit more like Dewey. He knew he was a bad person doing bad things, but he had a conscience too. Even though he wasn’t too smart, he realized that he couldn’t let an innocent person pay for his mistake. I appreciated the fact that we didn’t see much of what Raylan was up to, as he and Tim showing up to surprise Walker was an effective twist. Choo-Choo’s death scene managed to sum up the character brilliantly. He parked his car in the pathway of an oncoming train, only for the train to then stop inches before hitting him. He then succumbed to his wounds, with even his death proving his ineptitude. 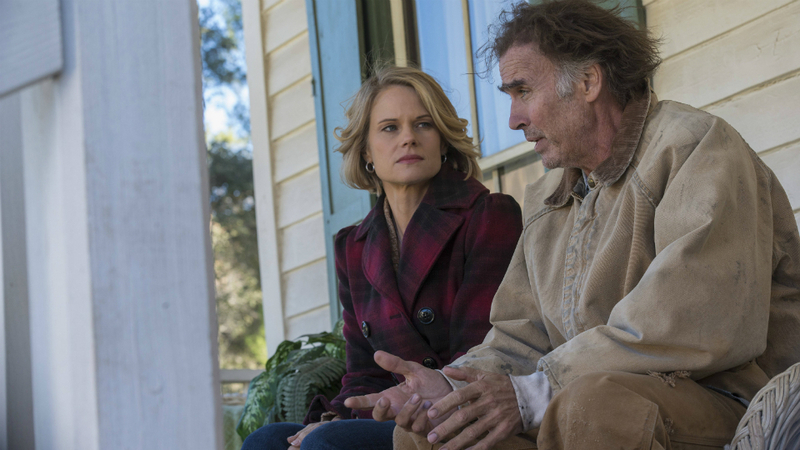 Being a huge Lost fan, I was excited to see Jeff Fahey pop up last week as Ava’s estranged uncle, Zachariah. Well my excitement has jumped up a few notches now that it’s evident that Fahey’s role will be more important than it seemed initially. Zachariah is straight up playing Boyd, and he’s not afraid to kill anyone who gets in his way. His line about needing to pay the bills points towards the reason behind his treachery, but I’m sure screwing a Crowder over is also a big motivation for him. Zachariah is just one of many different variables in play this season, and hopefully Zachariah sticks around a little longer than Choo-Choo. What exactly is Zachariah up to? Is he simply just ripping Boyd off, or is he working for somebody else? Tweet me your answers @OldSnake24 or let me know what you think in the comments below. Also, be sure to follow us @YouNerded.